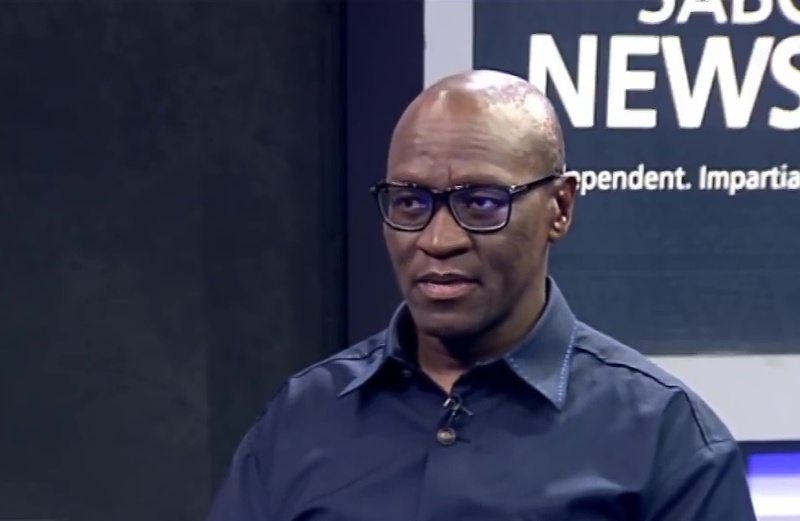 TV with Thinus: SABC CEO Madoda Mxakwe says the South African public broadcaster 'is actually in a very difficult financial position'; SABC News channel carriage contract renewal with MultiChoice 'at a very sensitive stage'. SABC CEO Madoda Mxakwe says the South African public broadcaster 'is actually in a very difficult financial position'; SABC News channel carriage contract renewal with MultiChoice 'at a very sensitive stage'. The new SABC CEO Madoda Mxakwe says the South African public broadcaster that is unable to pay local TV producers and owes service providers millions of rand is "in a very difficult position" and that there's no signed deal yet in place with MultiChoice to keep the SABC News channel running on DStv in a contract that expires at the end of this month. Madoda Mxakwe gave his first on camera interview as new SABC CEO to SABC News, with one broadcast on Morning Live and the other during prime time. With the embattled SABC mired in a debilitating cash-crunch, still waiting on a possible R3 billion bailout from Treasury in the form of a government-guaranteed loan, Madoda Mxakwe said in the past month he developed "a very strong strategic roadmap as well as a turnaround plan that will help us to transform the SABC into a viable organisation, financially, but also a high-performing organisation". Madoda Mxakwe admitted that the SABC "is actually in a very difficult financial position" and that "we are not in a good situation". While local production companies supplying content to the SABC are collectively owed tens of millions of rand after the SABC told them on 30 July a day before they're supposed to get paid on 31 July that the broadcaster can't and won't pay them, Madoda Mxakwe admitted that "in the past three years if you look at the trend of expenditure, we find ourselves in a situation where the expenditure far exceeds the income that we're getting". The SABC's latest crisis being unable to pay producers follows the cash-strapped broadcaster's previous inability to pay producers in mid-2017. Once again however the SABC wants unpaid producers to keep supplying it with TV content to ensure "a seamless broadcast". Madoda Mxakwe revealed that the SABC has been served by different letters of demand and notices of breach of contracts for not paying production companies and service providers. He told SABC News anchor Bongani Binga that "if you look at the evolution of our financials in the past three years, it's only now that it's hit really a crisis point". Asked where the money will come from to pay TV producers by mid-August, Madoda Mxakwe said "we have accelerated our plans to ensure that we increase revenue-generation". Under the current SABC's editorial policy, the SABC CEO doubles as the public broadcaster's editor-in-chief. Madoda Mxakwe however said that as SABC top boss he won't and isn't getting involved in SABC newsroom editorial decisions. "The newsroom, I'm not even there. I don't interfere, they're the ones making the decisions. So really my focus is to run the organisation and let the newsroom decide editorially what is right for the organisation." He promised that "I will never get involved in editorial decisions. It will not be right." Regarding the contract dealing between the SABC and Naspers' pay-TV arm, MultiChoice, Madoda Mxakwe said "the negotiations and engagements with MultiChoice are at a very sensitive stage". The SABC and MultiChoice's existing contract for the SABC News (DStv 404) and SABC Encore (DStv 156) library rerun channels expire at the end of August. So far there no new signed deal in place. The SABC doesn't have the resources to run SABC News without the money it receives from MultiChoice. If there's no no deal, SABC News could go off the air on DStv with less than a month's notice, with the public broadcaster's 24-hour TV news channel produced by the SABC with public broadcasting resources that is done exclusively for DStv. The SABC now however is adamant and also wants MultiChoice to pay for its carriage of SABC1, SABC2 and SABC3 - something that MultiChoice SA CEO Calvo Mawela has publicly said MultiChoice won't do. Satellite TV operators in South Africa are compelled by the broadcasting regulator, Icasa, to carry the public broadcaster's channels under so-called "must-carry regulations", but do so free of charge. While operators have to use their satellite transponder bandwidth they get the channels without having to pay, while the SABC gets access to a larger audience that in turn allows the SABC to get more revenue from advertising due to higher spot price ad rates. The SABC however now wants operators to carry the SABC's public channels as part of carriage agreements but also pay for them. Madoda Mxakwe said the SABC will make an announcement about the channels' future before the end of August. He said "we are busy engaging with different partners, including MultiChoice, in terms of ensuring that there is a different revenue stream into the business." Asked about possible staff retrenchments at the SABC since fixed-term contract workers at the SABC have been receiving notices, Madoda Mxakwe said: "I would not even want to preempt a discussion on retrenchments or whether jobs are safe but all I can tell you is that we have a committed, skilled set of people that are here who are committed in ensuring that we fulfill our mandate".